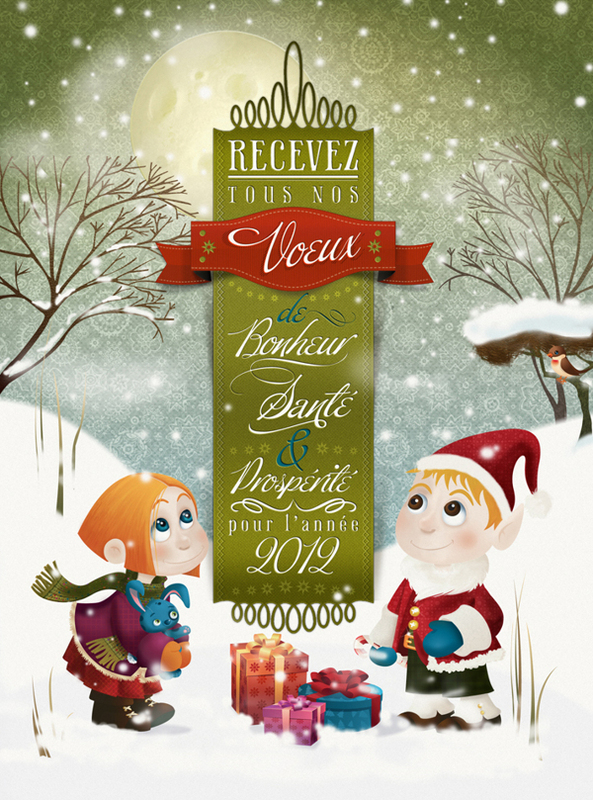 It’s that’s time of year again–time to get in the holiday spirit! 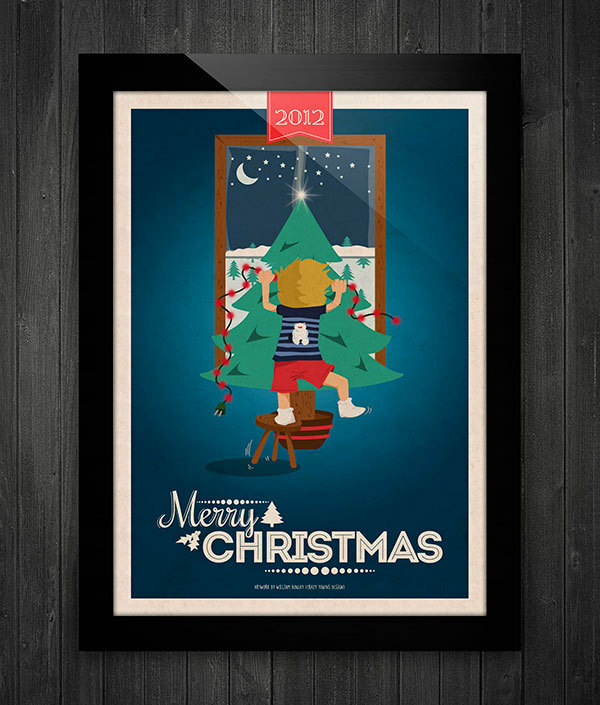 So this week’s post is all about inspiring you to create awesome CHRISTMAS vector illustrations. Check these vector “beasts” out, and feel free to comment your theme ideas for the next vector inspiration roundup! 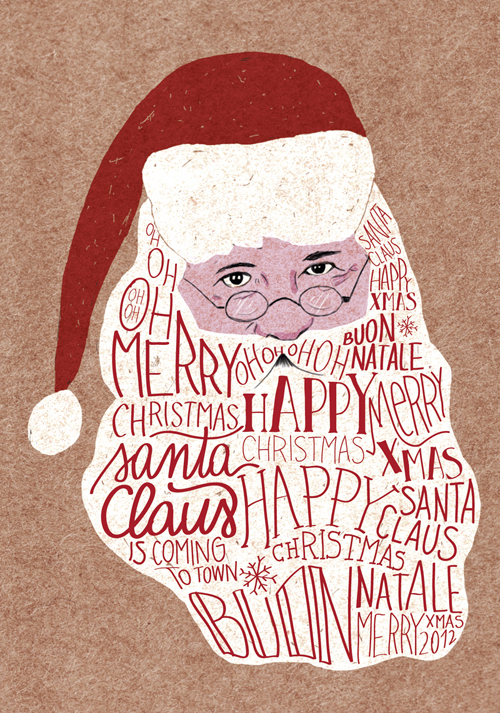 I like very much the retro look of this hand-lettered Christmas card. The curly elements add a whimsical feel to the holiday often times centered around our youth. Another way to draw a Christmas tree, not the traditional way. 🙂 A bit scary from my point of view. I really like the use of the gradients in this one–very well combined. 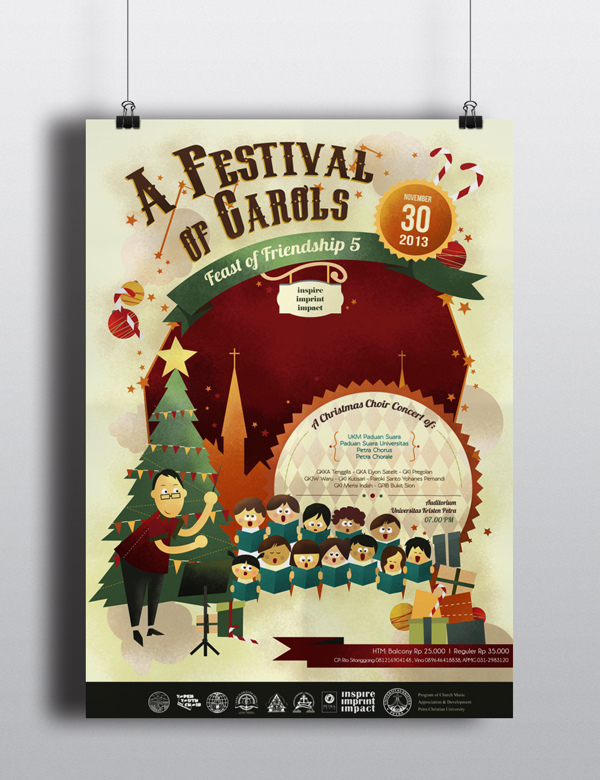 And the wide variety of expressions on the children’s faces really gives you the feel of children singing carols. 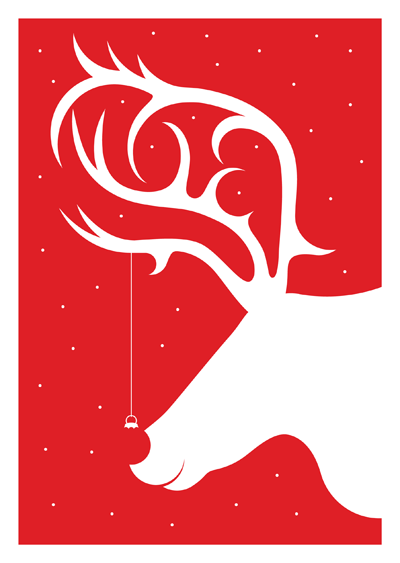 Very simple and flat design with no gradients or effects, but I simply love the creativity Chris used to drew the Christmas ball on the reindeer nose. Now we know why Santa has such a big beard. 🙂 Inspiring use of typography. A new take on “Where’s Waldo”. Can you find the hidden Claus? Click on the image below to see the details more closely! Although there aren’t many details in this poster, those small details from the chair and the boys foot show how even simple designs when well-implemented can give a lot of movement to an image. 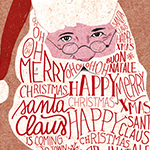 What music do you think is Santa listening? 🙂 He looks very relaxed. There is one word that best describes this poster: glossy. Well done Dushan! Remember when I said that a great background can dramatically change a design? 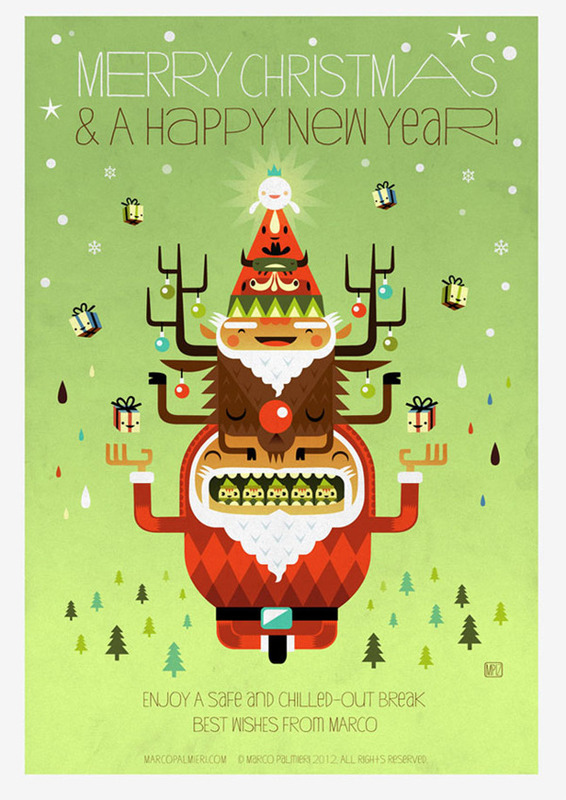 Well I think the background changed a lot this Happy New Year card. 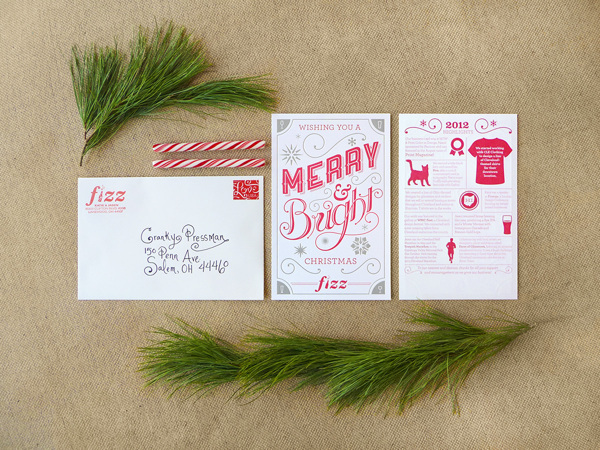 Do you have inspiring holiday designs? Share them in the comments below. 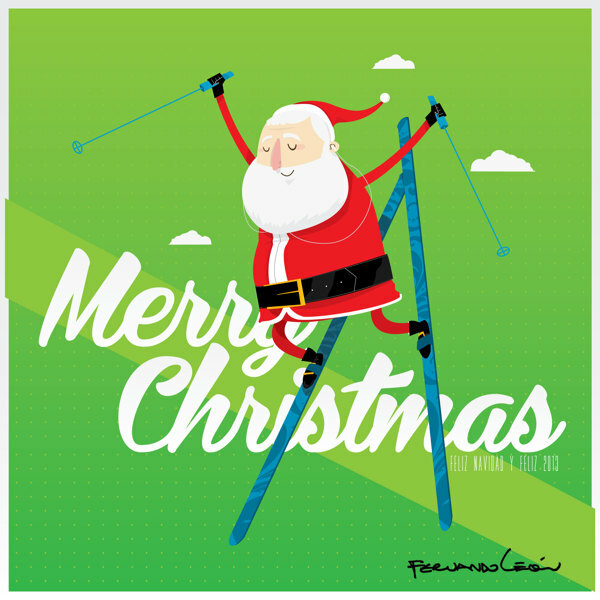 What a fun Santa vector scene. Thanks for sharing!